The long awaited and much anticipated arrival of the Legacy Ridge single family lots is just around the corner! Lots are projected to be available and ready to build on by Fall of 2012. After some reorganizing and restructuring of ownership, as well as a reworked plat map, these prime lots will be the hottest property in Gillette. Contact us about customizing a home for you! Location, Location, Location! The Legacy Ridge subdivision is located directly in the geographical center of Gillette. This area has seen tons of development over the past 6 years and doesn't show any signs of slowing down. The main attraction of this area is the new $56 million Campbell County Recreation Center. Along with the rec center is the brand new Buffalo Ridge elementary school which is set to open in the fall of 2012, CCHS South Campus which will likely be converted into a 3rd jr high in the next 5 years, Gillette college, the site for construction of a 2nd high school in the near future, and lots of space for commercial development. All of this is connected by a web of sidewalks, bike paths, and walking trails. We can help you pick the perfect home! We have a great working relationship with the builders who will be constructing homes in Legacy Ridge. We have dealt with a large amount of new construction over the past few years and have the knowledge and persistence to make sure our clients get the most for their money. We have recommendations for certain builders have worked well for our clients in the past, as well as strong cautions for the builders that have a less than stellar track record. We are willing to take as much t ime as necessary to make sure you get the right home for you by looking at all angles. We will show you different homes the builder has completed in the past as well as provide you with feedback from each builders past clients. We will show you different floor plans and help you customize each one to fit your particular needs. All the while keeping in mind the ever-important resale value! In our experience we have learned what questions to ask, what advice to give, and what warning signs to watch for, before, during, and after completion of construction. We will make sure you are comfortable with all aspects of the home including design, materials, and budget before we ever get a signature on a contract. The construction process can be a fun and exciting experience. As long as you have a quality builder and a representative looking out for your best interest, there is no reason you shouldn’t enjoy watching your home take shape! Contact us to pick out a lot! 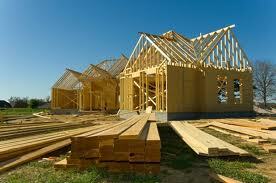 The bottom line is Gillette is running out of residential lots for new construction homes. RC Ranch has very few remaining lots available, Remington Estates and Pronghorn Ranch are being built out very quickly. New construction homes ranging from 200k - 300k are the most popular product in Gillette. Buyers can get a very quality home that fits their specific needs, style, and budget. There are some upper end areas with available lots but when you spend 75k - 100k on a lot, you aren't left with much of a budget for your home! The Villas at Legacy Ridge are a unique option for those looking for an affordable, elegant, maintenance free home. With two floor plans to choose from (ranch style or 2 story), these homes boast hardwood floors, granite counter tops, finished 2 car garage, all window coverings, and an HOA to oversee lawn care. There are Villas currently completed and ready to show!